Whether a new cross is designed to be a F1 hybrid, which is sold as such commercially, or a breeding start for a program to develop new inbred/O.P. lines, selection of parents is critical. 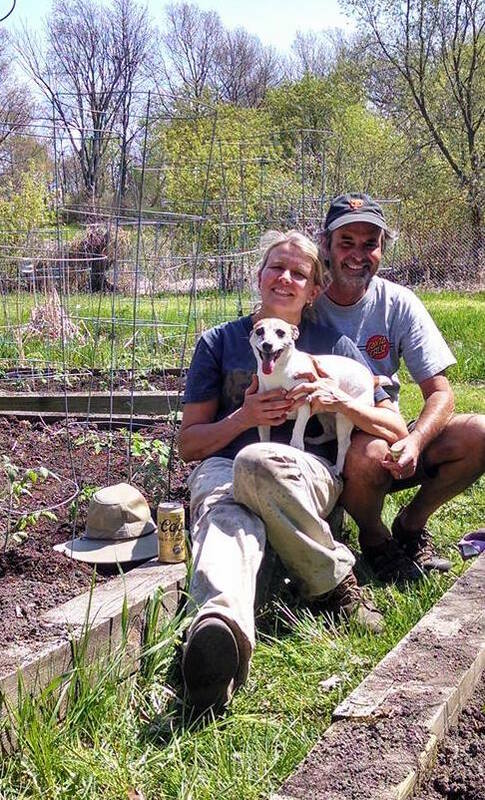 Most breeders will select parents that complement each other, so that in the F1 (or F8) generation you capture the best characteristics of each parent. 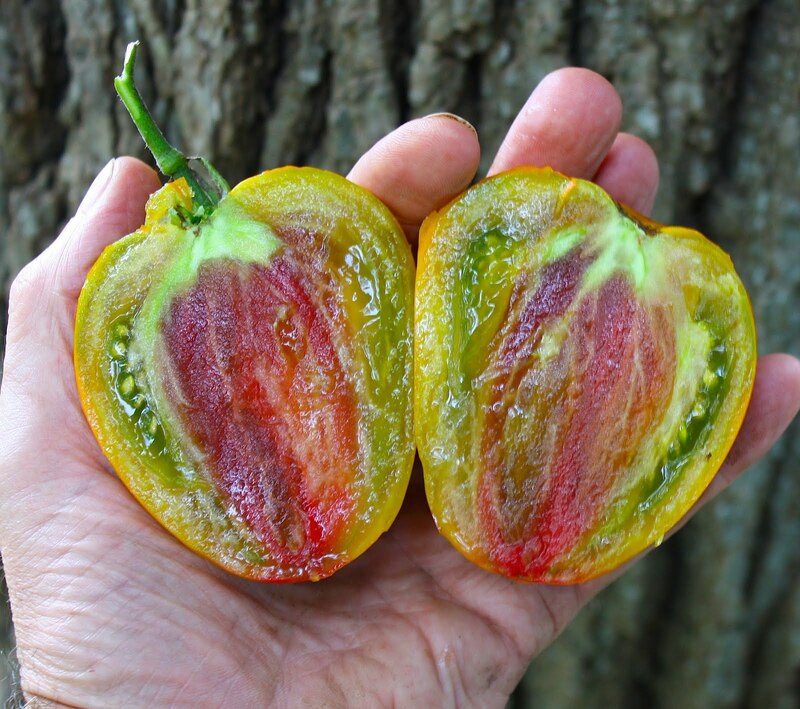 We have now made and tested several dozen crosses between beefsteak and cherry types – hoping to capture some of the exquisite taste of the best cherries (think Sungold) in a larger fruited type. We have also used early fruiting cherries to get earlier maturity in these hybrids and hybrid-derived Fx progeny. 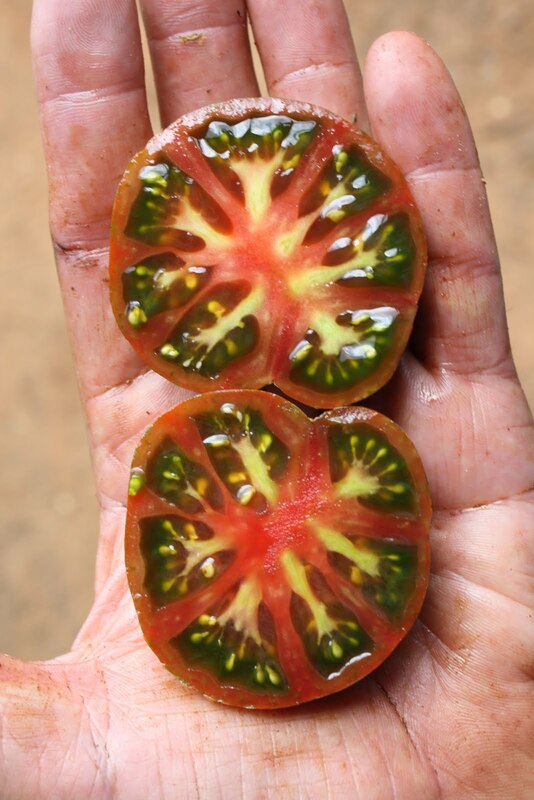 In crosses between smaller x larger fruit, the fruit size in the F1 generation will be much smaller than the mid-parent mean. 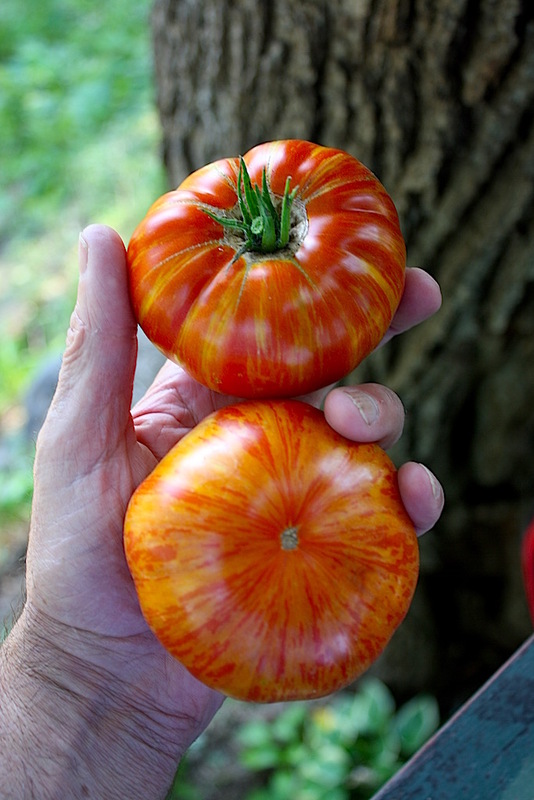 My tomato friend Bill Jeffers told me many years ago that fruit size in hybrids could be estimated using the mean of the square root of the fruit weight of the parents – for example (1oz x 9oz) –-> (√1 + √9)/2=2oz fruit wt for the F1. I’ve found this to be a pretty good rule of thumb. 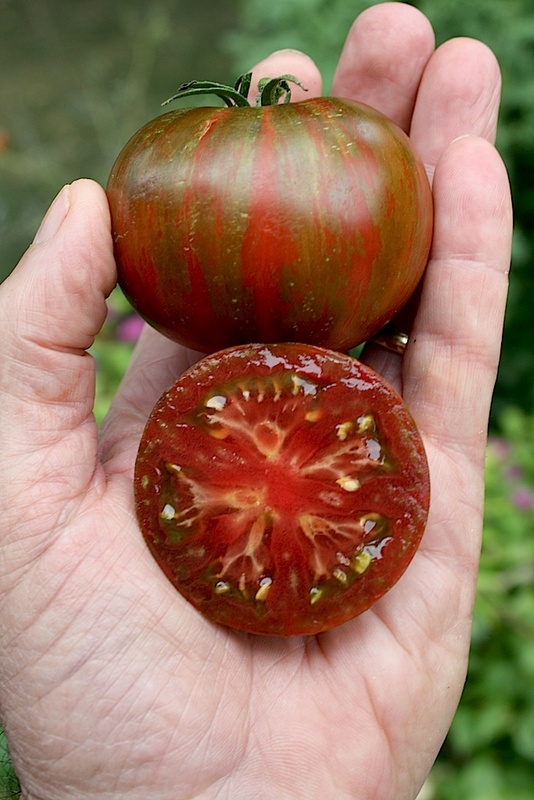 In this example, again the parents were a 1oz cherry and a 9oz medium beefsteak. 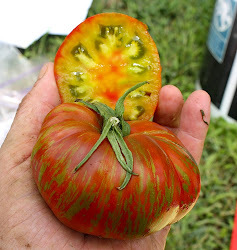 You need to look at a lot of F2 plants to find one that comes close to capturing the size of the large fruited parent. The frequency distribution for maturity (i.e. 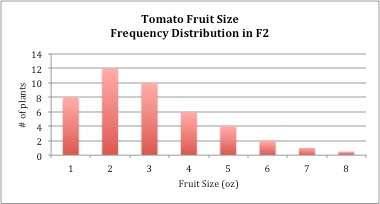 earliness in fruit set) is similarly skewed toward the early parent, but in these F2 populations earliness and fruit size are negatively correlated – generally small fruited types are early, larger fruited types are later. 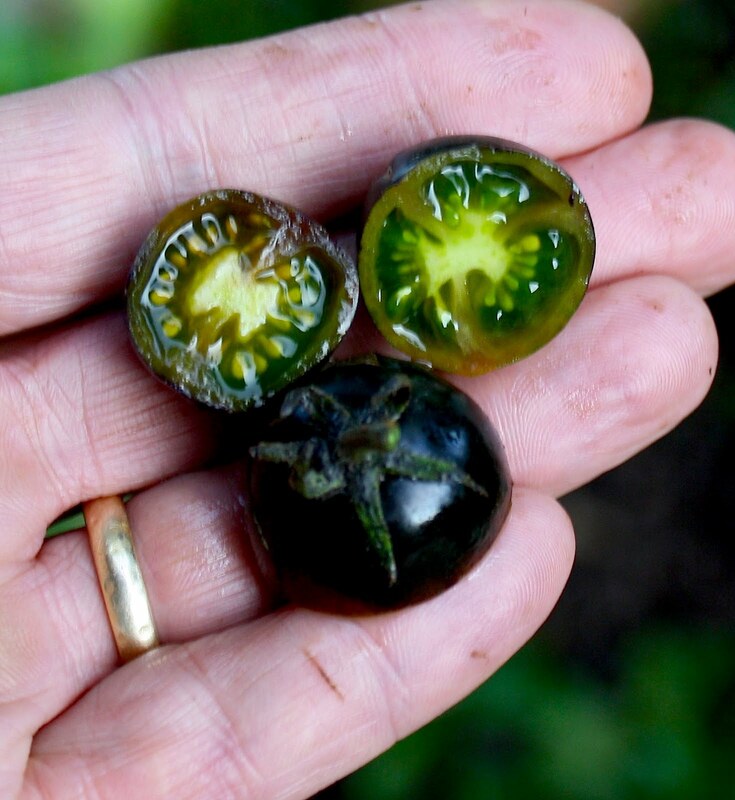 Thankfully we have been able to get earlier large fruited types by selecting primarily for size in the F2 and then for size and earliness in the F3 – again using large populations in both generations. Much of our recent crossing involves commercial hybrids (e.g. 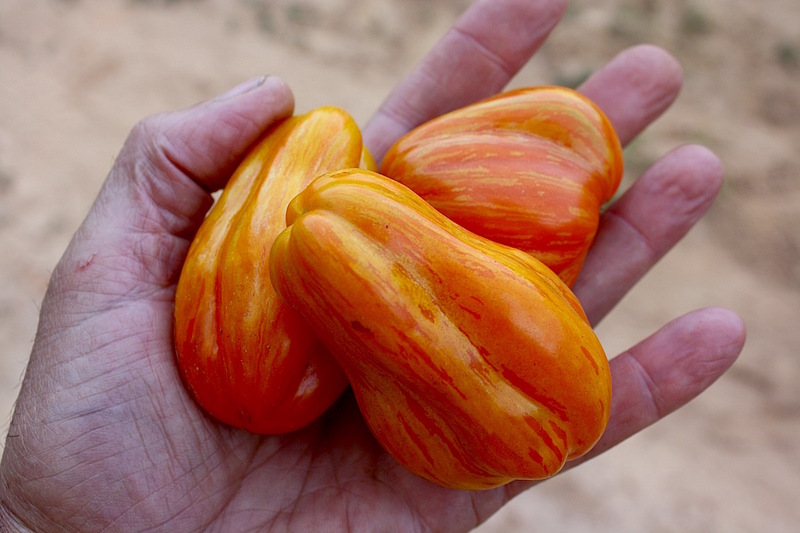 Bella Rosa, Mountain Merit, Panzer and Tasti-Lee) with exceptional disease resistance as the large fruited parent and very flavorful striped cherries as the small fruited parent, so we are also selecting in the F2 and F3 for flavor, stripes, plant health and fruit quality. So far we are making progress on all fronts.